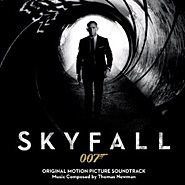 There’s been no shortage of Skyfall news in the last few days with James Bond turning 50 on Friday. We’ve already heard Adele’s theme song and now comes word on composer Thomas Newman’s soundtrack, which Sony Classical will release overseas on October 29 and in the U.S. on November 6 (You can pre-order the CD at Amazon). Thanks to Film Music Reporter, you can check out the spoilerish track listing below. Opening internationally on October 26, the film will debut in IMAX theaters in North America on November 8 and conventional theaters on November 9.